Do you love a campfire but don't really do much camping anymore? 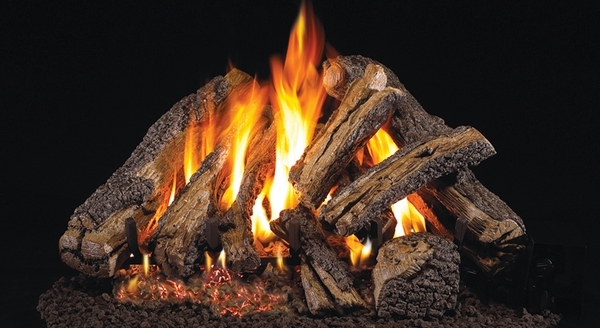 Then you'll really love the Real Fyre Western Campfire Gas Logs by Peterson. The gas logs have a stacked look that really reminds you of a great outdoor fire. Fantastic bark and wood details are handpainted on these sturdy, steel-reinforced logs to guarantee you years and years with a beautiful log set that functions as well as it looks. Buying a house and having kids tends to cut into your camping time a bit. This winter, bring the outdoors to you by putting Real Fyre Western Campfyre Gas logs by Peterson in your fireplace or hearth. Very easy to install, and shipping was fast. Very helpful staff when ordering. ProsReal look, puts out great heat.